Climate, demography, energy and the digital world: the 21st century is experiencing transitions with a wide-ranging and lasting financial, economic, social and human impact. The mission of the Louis Bachelier research network is to understand the economic and financial levers of these transitions so as to anticipate their medium and long-term effects. Comprising 51 Chairs and Research Initiatives from leading academic institutions, the Louis Bachelier Institute draws on the resources of two foundations* to support existing programmes and create new projects. 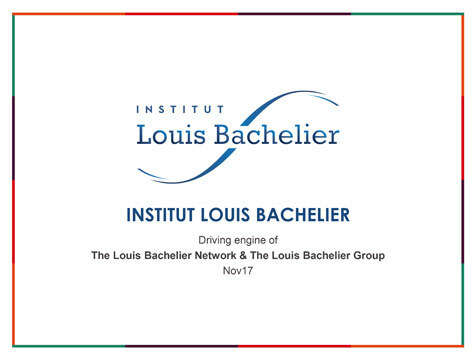 Through its activity, the Institut Louis Bachelier promotes links between research and business, sheds light on the issues of today and tomorrow and maximises the impact of French research of excellence. Because these transitions extend beyond individual disciplines, subjects and factions, the watchword of the Institut Louis Bachelier is openness. This openness gave rise to the leading research network in French economics and finance, which today brings together more than 400 trans-disciplinary researchers and nearly fifty companies and sponsors from all sectors. On the strength of this diversity, the Institute is actively involved in economic debates through the dissemination of the findings of its research programmes. You will find our analyses, interpretations and day-to-day news in our media website www.louisbachelier.org, with its programme of research in economics and finance. Participate in our events and discover our publications Les Cahiers Louis Bachelier and Opinions et Débats.